Physical activity can enhance quality of life in cancer survivors, but this conclusion is based largely on research linking moderate-to-vigorous physical activity with quality of life. Light-intensity physical activity may be more feasible than more strenuous exercise for many older cancer survivors. 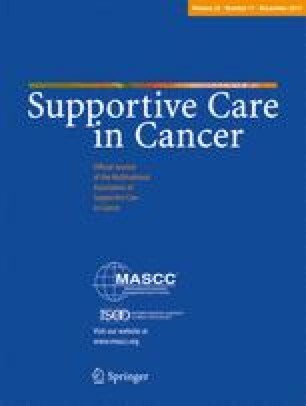 This study reports a secondary analysis of baseline data from a lifestyle behavior intervention trial and examines the hypothesis that older cancer survivors who engage in more light-intensity physical activity, independent of moderate-to-vigorous activity, will report better mental quality of life. Older (≥65 years), overweight or obese breast, prostate, or colorectal cancer survivors (n = 641, 54% female) self-reported their physical activity and mental quality of life (i.e., mental health, emotional role functioning, vitality, and social role functioning from the Short-Form 36 Health Status Survey) as a part of the RENEW trial baseline assessment. Analysis of covariance was used to test hypotheses. For older women (but not men), light physical activity was positively associated with mental quality of life after adjusting for moderate-to-vigorous physical activity. Light physical activity that involved social participation appeared to be responsible for this association. For older men (but not women), moderate-to-vigorous physical activity was positively associated with mental quality of life. Some activity appears to be better than none for important dimensions of mental quality of life. Experimental research is needed to test the hypothesis that older cancer survivors should strive to avoid inactivity regardless of whether they are able to engage in moderate-to-vigorous physical activity. The authors thank the cancer survivors who so generously gave of their time to participate in the RENEW study, as well as Denise Snyder, MS, RD, and Richard Sloane, MPH. This study was supported by the National Institutes of Health (R01 CA106919, P30AG028716) and the UAB Comprehensive Cancer Center.